Photo by Madeleine. Don’t you DARE steal it. Dear reader, I need your help. 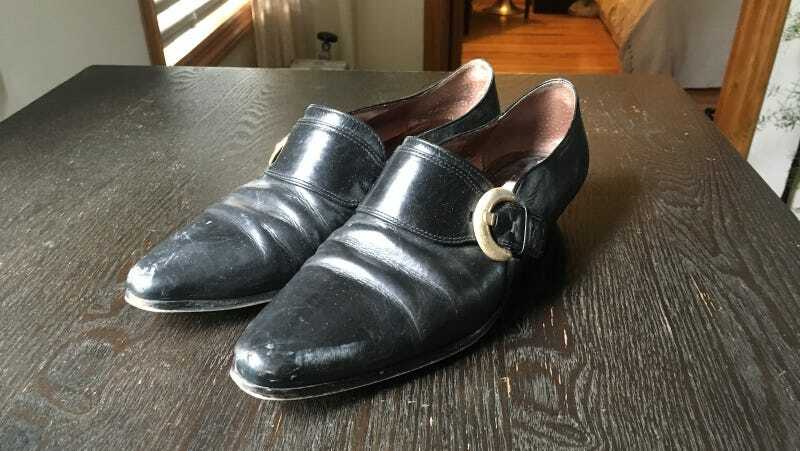 Years ago, I bought a beautiful pair of black leather monk strap loafers from a thrift store in Wisconsin. It felt like fate—they were cheap and my size—but then...tragedy. Though these shoes go with practically everything, I’ve only been able to wear them two or three times because—wait for it—they make fart noises when I walk. Somehow air keeps getting caught in my instep and it sounds like I’m poot poot pooting all the way across the floor, even on the rare occasion when I’m actually not. So how do I fix this? I’ve tried wearing them with tights. I’ve tried with socks. I’ve also tried with inserts. I am at the point where I’m about to Marie Kondo these sick loafs right out of my life because what’s the point of cluttering my small apartment with shoes I can’t wear. In a last ditch effort, I turn to you, my only true friends, for advice. How do I stop my shoes from farting so that we can go on to live the happy life that we were destined for?